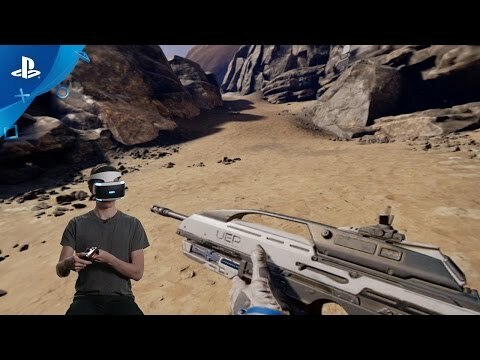 PlayStation®VR Aim Controller’s precise motion tracking and deeply intuitive controls let you feel the action as you are transported to an unnerving alien world. "PlayStation” and the "PS" Family logo are registered trademarks and “PS4” is a trademark of Sony Interactive Entertainment Inc. Farpoint is a trademark of Sony Interactive Entertainment America LLC. Created and developed by Impulse Gear, Inc.